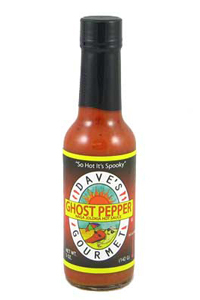 Dave's Ghost Pepper Naga Jolokia Hot Sauce for 2009 is one mean hot sauce made from the Jolokia pepper, the World's hottest pepper. Although this sauce is not the hottest hot sauce in the world, it give the other extreme hot sauces a run for their money. With a hint of roasted garlic, it is hard to cover up the heat of the Jolokia pepper in this flame thrower! 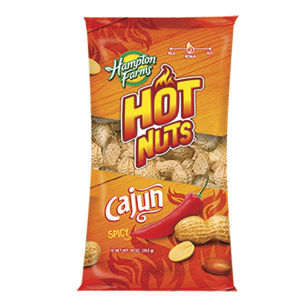 It has a great flavor but isn't for your average person who cannot handle heat. Very Good Product, will keep in rotation! Don't give up the ghost! This is my second bottle of this fabulous sauce. I don't think it is quite as hot as the regular Dave's Insanity, but the flavor is remarkable. If you like Dave's, give this a shot! You will not be disappointed! Ohhhh I love one!!!! God and hot and you have to just use a drop or two - be careful about just shaking the sauce ... just a drop and it nice and hot and gives ALL your food a jolt!. After reading the reviews, I thought that I had finally found a hot sauce that was actually hot. I could tell by the aroma that it wasn't hot and of course it didn't taste hot either. At best you could call this spicy, but it is not very hot at all. Very hot and nicely sweet with the burn intensified at the end. The only reason it didn't get a 5 was because -wow- there are hotter sauces out there. Right up there with any of Dave's sauces. Initially it was really hot, but after getting used to it, it's just like some really flavored heat to just about anything. A good strong burn. Clean flavor of pepper. Taste and spice holds up during cooking. Pours very fast - watch out. Don't touch your face! my buddy thought he was going to be a tough guy and eat a dozen wings with this sauce on them by the fourth wing his nose was bleeding he was done nise job dave. I had read about the ghost pepper and HAD to try it. That being said, I got hold of some dried peppers, and they were pretty hot, but THIS stuff is RIDICULOUSLY hotter!!! As I said, good stuff! If ya ain't sweatin' why bother? Funny, I got sent the ghost pepper 357 by mad dog by accident. I tried it and loved it. Nice smokey flavor pretty flipping hot. I finally got this bottle the one I had origanally ordered *thank you mohotta for great customer service on that* and opened it up only to find that the 89,000 scolleville rating is not even close. I can eat habearos whith out getting to bent out of shape this was hotter. So its hot, ok taste. I actually prefered the mad dog ghost chilly.